Book four in the internationally best-selling series by Eoin Colfer-now available as a full-color graphic novel. Artemis Fowls greatest enemy, the evil pixie Opal Koboi, has escaped-and shes out for revenge. Her plan to start a war between the humans and fairies is nearing completion and once again Artemis is caught in the crosshairs. Only this time he has no memory at all of his fairy friend, Captain Holly Short, or her world deep underground. 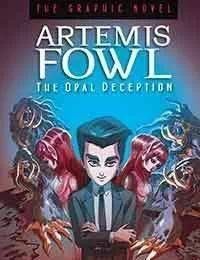 To survive Opals master plan, Artemis will have to reconnect with Holly and with his own memories. But will even Artemiss keen intellect be enough to outsmart this pixie villain, or has the boy genius finally met his match?